Yet another cooling day, another day to give my over-worked air-conditioning system a rest, how I wish we can have more of such weather (minus the rain). We are already at the end of second week of 2018, it has been non-event for me, besides accumulating a bit of of the Singtel shares, I did some more reading on blockchain related books, researching on some ICOs (Initial Coin Offerings) and continue writing post for my other pet project blog Blockchain SG. Anyway, the focus of this post is on the "Do Good" part that all of us can participate in. From the recent sharing of the portfolio performances of blogger friends here, I believed most of us have a bumper year of 2017 and hence, the "Do Well" (financially) part has been taken care of. 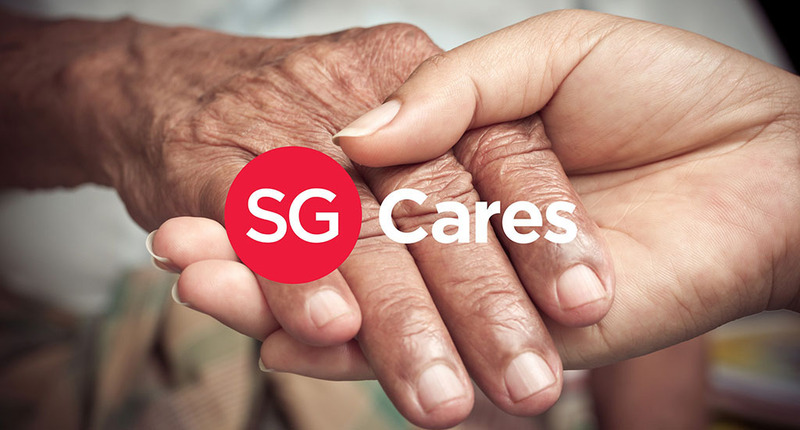 Yesterday, SG Cares officially launched their app (available in iOS and Google Play) to promote volunteerism as well as the act of giving. It's like a "market place" that matching the aspiring do-gooders with the matching social causes. All good causes under one roof! 1. Hold the door open for someone today? 2. Say hi to a stranger today! 3. Dream big and dare to fail etc..
Let's do good (on top of doing well) together to make it a better place for all!